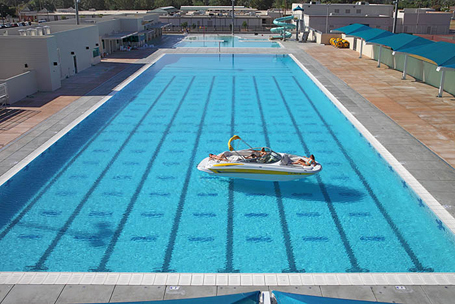 The Parks, Recreation and Commercial Facilities Department (PRCFD) of the City of Mesa in conjunction with Mesa Public Schools, identified the existing swimming pool at Kino Junior High School required a major renovation in order to meet current and future community aquatic needs. The team of Counsilman-Hunsaker and Langdon Wilson Architects was selected to design the replacement pools at the school to include both recreation and competitive amenities. Completed in May 2009, this venue is capable of hosting various levels of swimming, waterpolo, and diving competitions both at municipal, high school, state, and regional levels. In addition, city patrons will be able to utilize the new recreation pool and amenities for added recreation value.